Imagine the perfect morning. The air is crisp and the beauty and warmth of the sun is shining. 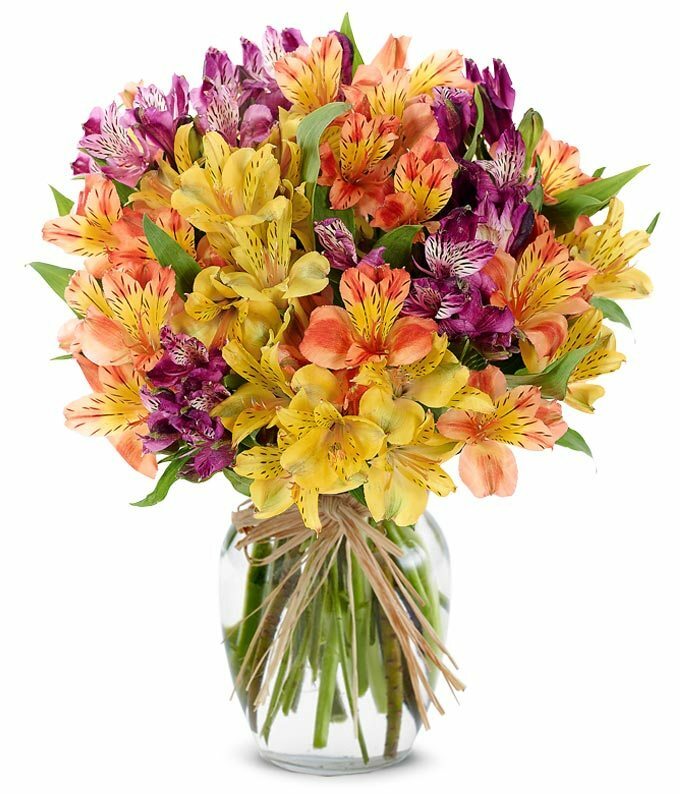 This stunning bouquet of alstroemeria represents just that, with is vivid colors of yellow, orange and purple. Hand delivered and arranged in a clear glass gathering vase, this gift is sure to bring light to their day!